Today we're going to talk about salads. And no, we don't mean a side of iceberg lettuce with a few slices of tomato. We're talking about salads full of vitamins and minerals, essential fatty acids, protein and fiber — the kind of salad you can have for dinner and feel full and satisfied. Because salads don't have to be boring. Here's the thing: A healthy lifestyle goes beyond staying physically fit. It's equally important to nourish your body with wholesome, nutrient-dense foods. And salads are a great way to help you sustain a nutritious diet. But think outside the box. Think dark, leafy greens like spinach and kale. Think beans, nuts, seeds, lentils or roasted veggies. And think protein-rich foods like eggs and fish. It's time to rethink your relationship with salad. 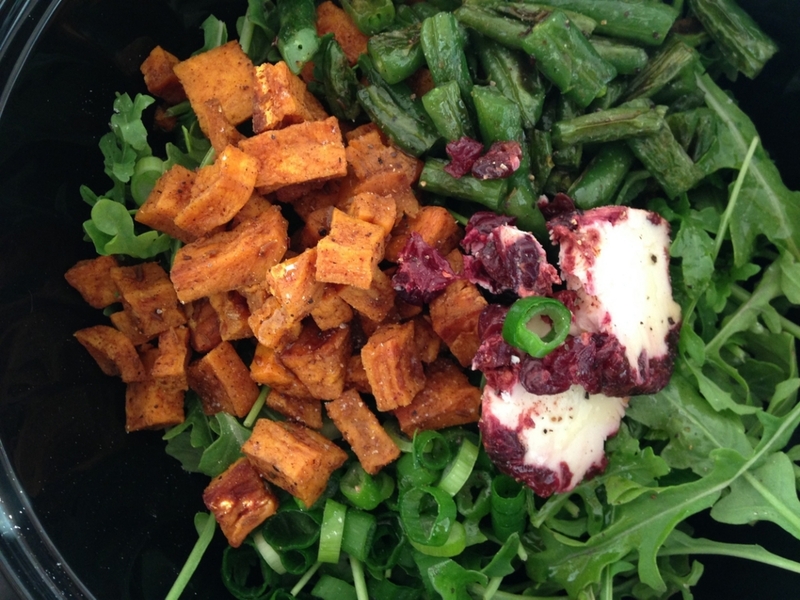 To get you started, check out these three salad recipes created by Laura. Caesar salad with a twist. Ditch the egg to go vegan. Add protein to your salads with beans or nuts. Sweet potato is extremely high in vitamin A and is also a good source of vitamin B6, vitamin C, fiber and potassium. So there you have it — three healthy, colorful, balanced recipes that go beyond your basic side salad. Try one for lunch or dinner. Got a delicious salad recipe of your own? Share it with us! Find us on Facebook or Twitter and keep us updated on your journey to a clean, healthy lifestyle.